With Readly you can read Samsung Galaxy Tab The Complete Manual and thousands of other magazines on your tablet and smartphone. Get access to all with just one subscription. New releases and back issues – all included. Stylish design and first-class functionality continue to be the hallmark of Samsung Galaxy tablets, including the new Tab S2. 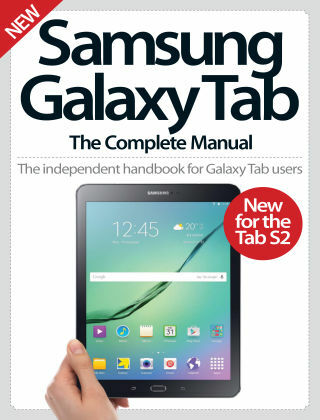 In this new edition of Samsung Galaxy Tab The Complete Manual, we will take you through the set up and use of all the essential functions, features and apps through step-by-step tutorials. Pick up a copy and learn how to get the most of your device now!